Website: Jaekel, Brielle, “Luxury severely absent from chatbots and Snapchat, says L2.” Luxury Daily. Feb 6, 2017. https://www.luxurydaily.com/luxury-severely-absent-from-chatbots-and-snapchat-says-l2/. In our increasingly digitalised environment, luxury brands seem to lack a strong digital presence and are not harnessing the power of social media for personalised concierge services. 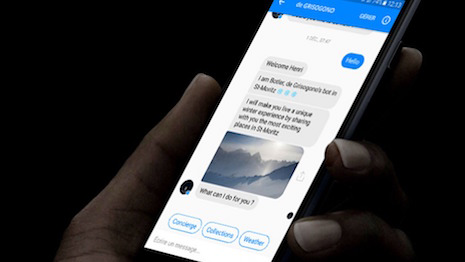 It was reported that only 47% of luxury brands are active on Snapchat (as of October 2016), while only three have implemented chat bots on Messenger to connect with their fans. Brands are thus missing the huge opportunity to connect with their fan base due to their underutilisation of social media platforms. It is indisputable that social media’s intrusion has affected the way we live, and these mediums have also changed the way we engage with brands, which is therefore all the more reason for the luxury sector to maximise this untapped potential. For one, chatbots are likely to be an important trend for luxury brands. It is a machine-led customer service tool on Facebook Messenger and Kik, which luxury brands should engage in nailing this as a channel. As the software is only likely to improve, it is crucial in providing seamless shopping experience both online and offline.